Time for yet another musical journey. Finders Keepers Records is an amazing label that prides themselves on resurrecting a “lost world of undiscovered vinyl artefacts from the annals of alternative pop history.” They wander and sift through the huge world of sound for the wonderfully bizarre to compile together for all of our benefit. Late last year, in the Finders Keepers Manchester vaults we celebrated our 20th conquest. It was a dignified affair with a guest list consisting of mods, rockers, proggers, hip-hoppers, teenage vampires, Welsh dragons, fly killers, escaped convicts, Turkish protesters, studio chimpanzees, and Judo experts. 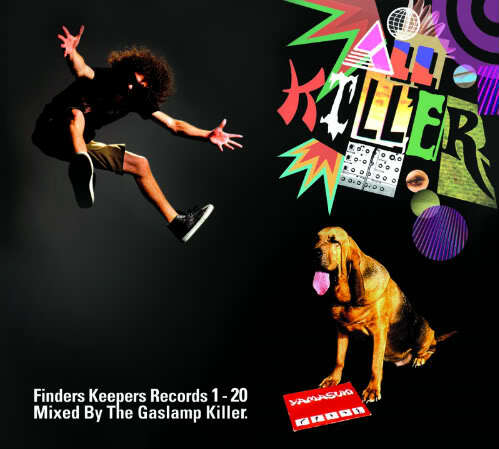 Scrambled, sampled, angle-poised and untangled, this mix hears Gaslamp Killer at his best – given envious carte blanche on our vast musical palette featuring tracks that have previously been savored and championed by the likes of Madlib, Oh-No, Erykah Badu, Jarvis Cocker,and Morrissey amongst others.